Earlier this month, New York’s narrowest house – a mid-19th century construction in Manhattan that’s only 2.4 meters (less than eight feet) wide - went on the market for US$4.3 million. By that measure, Buenos Aires’s Casa Mínima, in the colonial barrio of San Telmo, is a mansion that sprawls across its 2.5-meter facade on the cobbled colonial alleyway of Pasaje San Lorenzo (dating from 2008, the photograph above includes the adjacent building, which has a normal frontage). 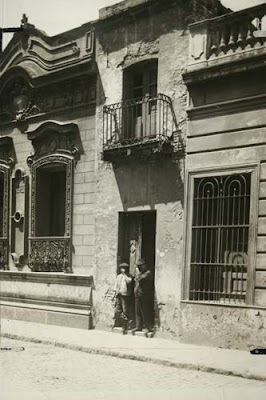 Dating from the early 19th century, the Casa Mínima is no longer a residence and is not for sale (the photograph above dates from the 1930s). An improbable legend says it was a manumission gift from a slaveholder to his former chattel, but it now belongs to businessman Jorge Eckstein. Eckstein has made it part of El Zanjón de Granados, an events center that sits atop a warren of colonial tunnels (pictured below) that are now open for tours. For anyone who wants an idea of what it might be like to live in such small quarters, and can’t afford Manhattan prices, a tour of the Casa Mínima offers an alternative budget option. 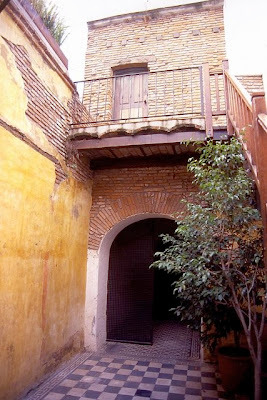 The house’s narrow entrance leads onto a slightly wider patio (pictured below) where the former kitchen sits and a wall-hugging staircase leads to an even narrower bedroom, which features a street-side balcony directly above the exterior doorway. 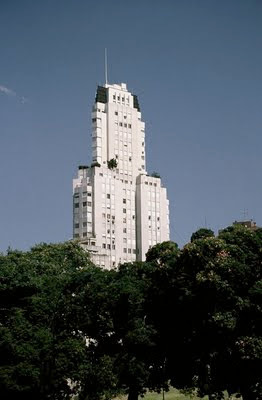 About 2-1/2 years ago, I wrote about Lord Alain Levenfiche’s attempt to sell his 14th floor apartment in Retiro’s Edificio Kavanagh, the landmark building that will celebrate its 75th anniversary this year. 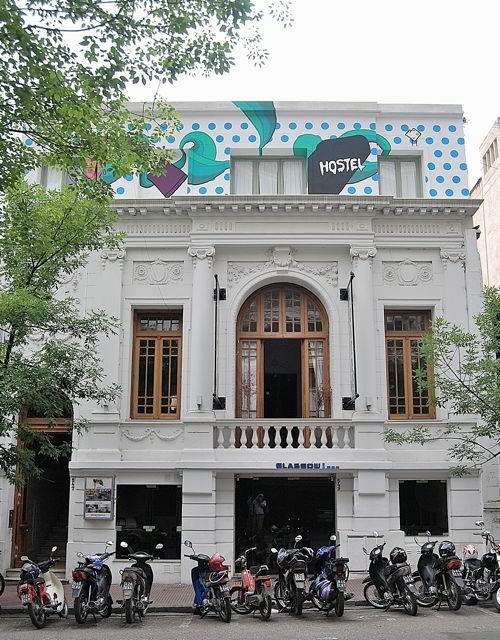 According to the Buenos Aires daily Clarín, Levenfiche has upset his consortium neighbors, who value their privacy highly, by gutting the historic interior for a remodel and renting it out for meetings and events – “turning it into a tacky nightclub,” according to one resident. Strangers come and go at all hours. 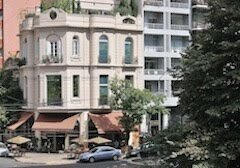 Overlooking Plaza San Martín, the apartment, once occupied by the building’s original owner, Corina Kavanagh, remains on the market. Levenfiche has lowered the price to just US$4.5 million – making it just a tad more expensive than the narrowest house in Manhattan. 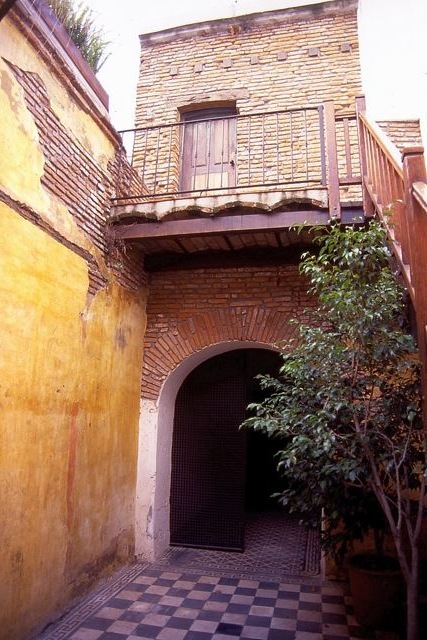 Unfortunately, unlike the Casa Mínima, the Kavanagh is not open for tours; unless we decide to make an offer, neither you nor I are likely ever to see its interior. According to many reliable sources, the handsome Chilean barquentine Esmeralda - the world’s second tallest and second longest sailing ship – became a floating torture center in the aftermath of the 1973 coup that overthrew President Salvador Allende. 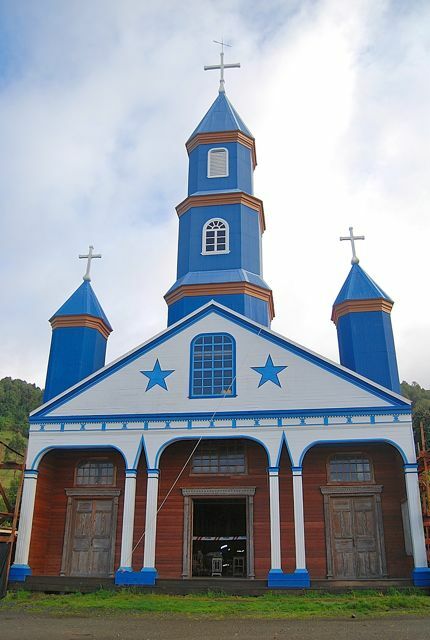 Internationally, the most notorious case was the disappearance of Anglo-Chilean priest Michael Woodward, whose remains have never been located despite a signed death certificate by a naval hospital physician. 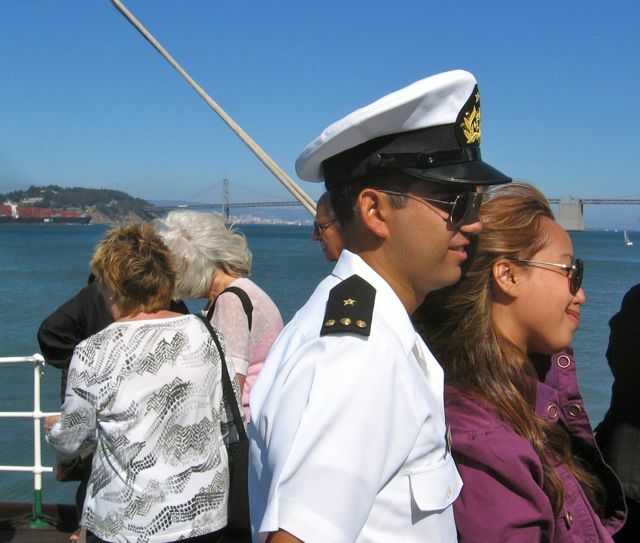 Nearly a score of officers are presently under arrest in the case, which is moving slowly through the Chilean courts, but the navy has never acknowledged responsibility. Like its Argentine counterpart, it was the most hardline of Chile’s armed forces, even if no single individual had the high profile of army General Augusto Pinochet. 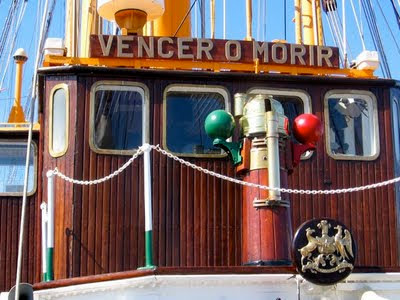 Its motto continues to be vencer o morir (conquer or die). Because of that history, the Esmeralda, which serves as a training vessel for naval cadets, often gets an unpleasant reception when it at ports around the world. In fact, on its current tour six-month voyage, its initial North American stop at San Diego drew a small protest. 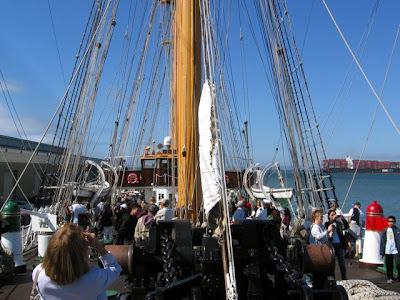 When I went with my Argentine wife (whose sister-in-law was a possible victim of their navy) to see the ship last Saturday at San Francisco’s Pier 27, though, there were long lines but no demonstrators. 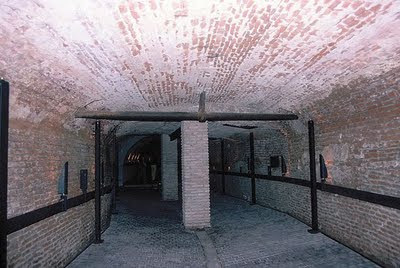 There were, of course, security checks in which my small backpack had to stay behind but my wife’s large purse did not. 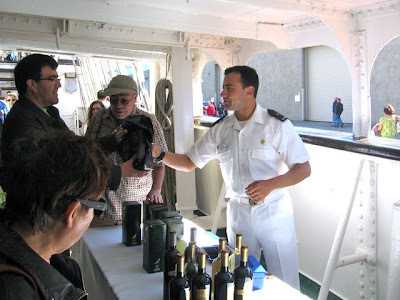 The Chilean crew was courteous and hospitable (only a handful of its more than 350 personnel were present), but the visit itself had two shortcomings: it was limited to the tall ship’s main deck – the interior was off-limits - and there was no historical information whatsoever. There was nothing even about the ship’s origins in Spanish shipyards in 1946, nor its acquisition by the Chileans to offset debts dating from the Spanish Civil War. 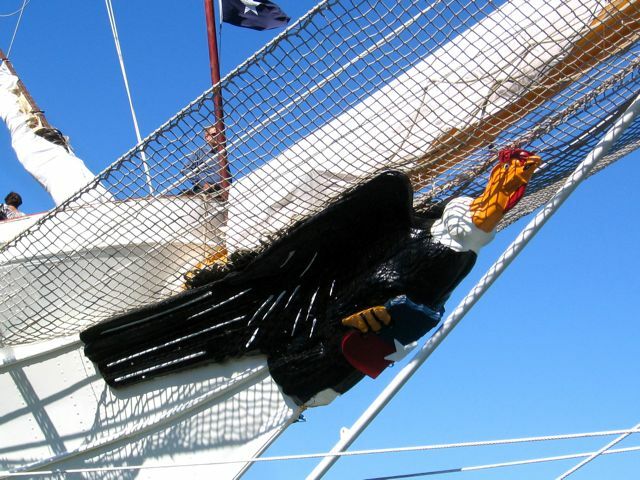 Unless you already know, you wouldn’t appreciate that the condor on the bowsprit is one symbol, along with the huemul (Andean deer) of Chile‘s coat of arms. Nobody, of course, expected to find anything about the Esmeralda’s unsavory past under the dictatorship, especially given the judicial investigations currently underway. At the same time, there are indicators that the navy has moved, however slowly, from its traditional conservatism – one of 28 women on board, 22-year-old Francisca Lema is the first female officer to serve on board a Chilean vessel. Until recently, women in the navy were limited to shore duty. 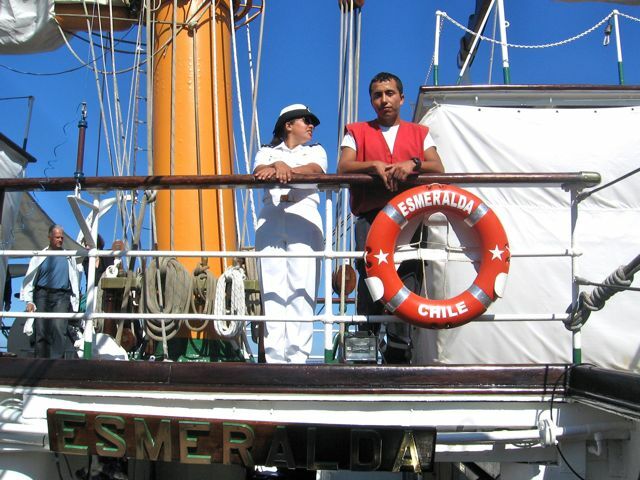 Most visitors to the Esmeralda used their time snapping photos of themselves and their families, along with the crew. At the same time, the crew commercialized the visit by selling bottles of Chilean wine (from the decent but unexceptional Misiones de Rengo label) and bottled pisco sours (definitely inferior to fresh mixed). 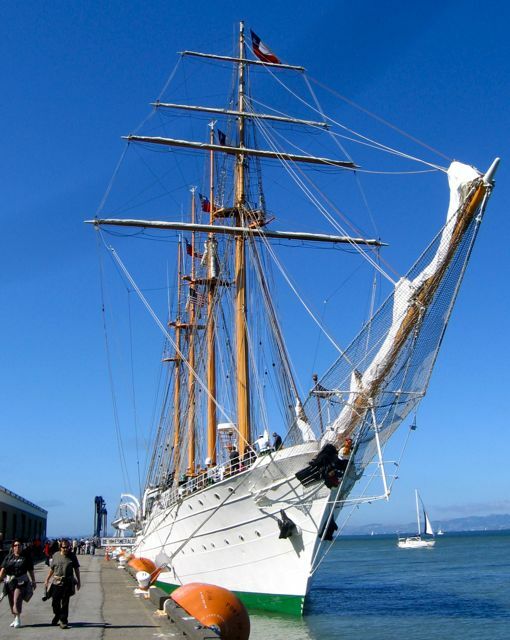 The Esmeralda’s next stops are Victoria, British Columbia (August 1-5); Vancouver, British Columbia (August 6-10); and Pearl Harbor, Hawaii (August 30-September 3). In Canada, according to the CBC, there are likely to be protests. The new fourth edition of Moon Handbooks Buenos Aires came out in February, when I was still in South America unable to do any in-person promotion and publicity. 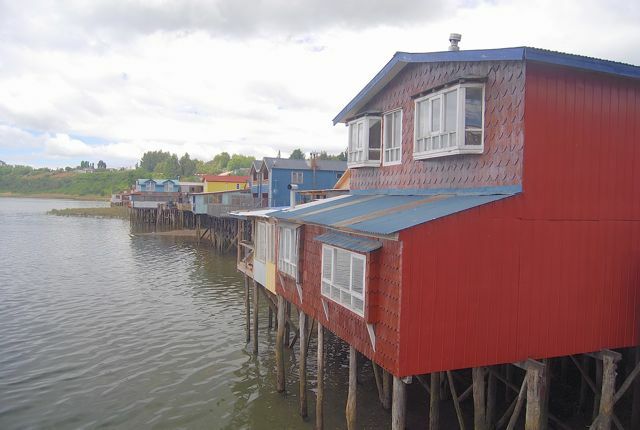 Over the next two months, though, a mini-road trip will take me from my Oakland home all the way across the Bay to deepest San Mateo County for series of four digital slide lectures on the Argentine capital and its surroundings, including coastal Uruguay. Originally the San Mateo County Library, which is hosting the events, suggested a “Paris of the South” theme that I’ve always tried to debunk, as I consider New York City a better analogue than Paris for Buenos Aires. 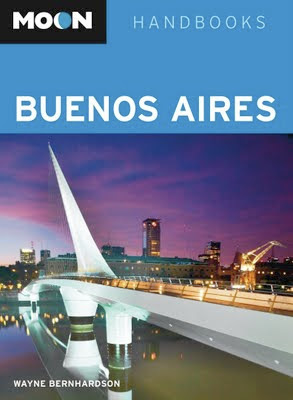 Consequently, we agreed to change the title to “Buenos Aires: The Gotham of South America,” but they’ve been a little lax in uploading the material to their web site: there a photoshopped couple is tango-ing away in front of Puerto Madero’s Puente de la Mujer, a graceful pedestrian bridge that also appears on the book’s cover and below, under the originally proposed, but highly misleading title. Even so, I hope Peninsula readers will be able to make it to the events, which begin at 2 p.m. Saturday afternoon, August 13, in the library’s San Carlos Branch. The following Saturday afternoon August 20, also at 2 p.m., I will be at the Atherton Branch and then at 7 p.m. Thursday evening, August 30, at the Belmont Branch. The final event will take place at 1 p.m. Thursday afternoon, September 29, at the Millbrae Branch. There will be ample time for questions. Copies of the Buenos Aires title, as well as my other titles on Argentina and Chile, will be on sale at these events. 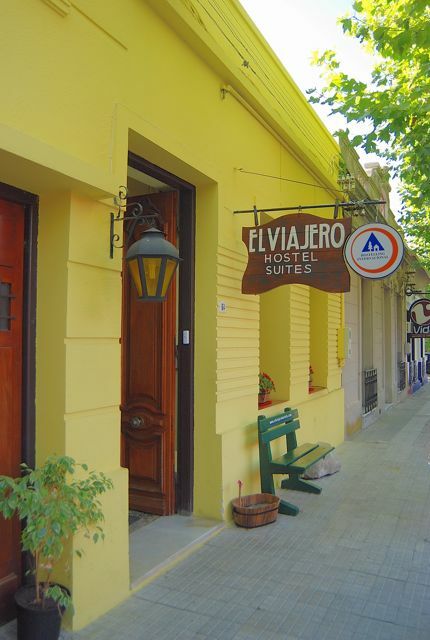 I am hoping we may be able to offer a raffle for a flight to and from Buenos Aires or another destination of the winner’s choice in the Southern Cone countries. The raffle remains to be confirmed but, if it does take place, it will not be limited to attendees of the San Mateo County events. From mid-October to early November, I will be holding another dozen events to promote the new third edition of Moon Handbooks Patagonia, whose attendees would also be eligible for the drawing. There will be a couple more events in San Mateo County (Belmont and Half Moon Bay), but also elsewhere in California (Berkeley, Concord, Fremont, San Jose, Saratoga, San Francisco and Pasadena) and beyond (Bellingham and Seattle, Washington; Santa Fe, New Mexico; and Vancouver, British Columbia). For these events, copies of the new title will be on sale; watch this space for more details. I try not to dwell on it but, from time to time, I’ve written about my Southern Cone experiences during the military dictatorships of the late 1970s and early 1980s, and the efforts to memorialize their victims. 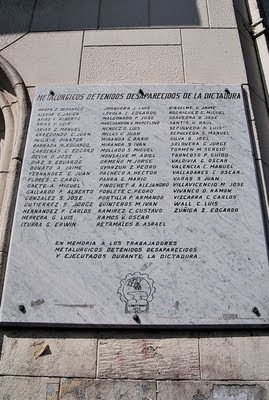 As Argentina and Chile come to terms with that heritage, there are numerous reminders of those sad years, even if most of them are relatively inconspicuous (such as the headquarters of Santiago’s Constramet metal workers union, which simply displays a plaque(pictured above) with the names of some 60 members who "disappeared" under General Augusto Pinochet’s regime). A couple of Chilean memorials, though, are more outspokenly eloquent. Perhaps the most subtly eloquent memorial to the dictatorship’s victims, the Parque por la Paz (Park for Peace) occupies the grounds of the former Villa Grimaldi, the principal torture center for the Directorio de Inteligencia Nacional (DINA), General Manuel Contreras’s ruthless intelligence service (Contreras is now serving a life sentence). 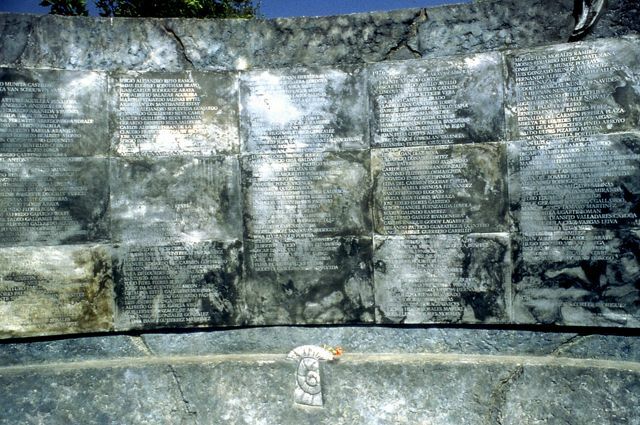 Before it closed, more than 200 political prisoners (whose names appear in the memorial above) died at the isolated mansion in suburban Peñalolén, and many more were interrogated and tortured. 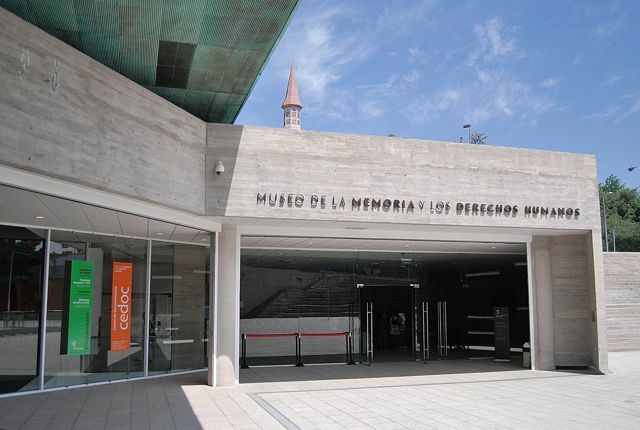 The Parque por la Paz is open every day, with guided tours available on most. From Metro Plaza Egaña (Línea 4), Transantiago buses 513 y D09 pass nearby. La Bicicleta Verde is the only operator offering alternative “Human Rights Legacy” tours that take in Parque por la Paz, the Cementerio General, and some other sights. 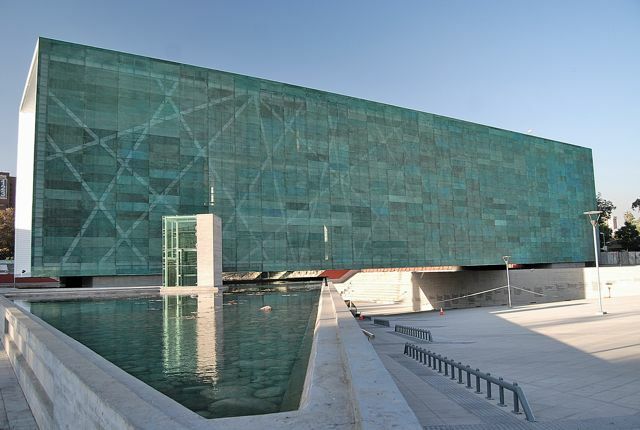 More central, and more comprehensive than Villa Grimaldi, the glistening new Museo de la Memoria is a three-story monument whose glass exterior and reflecting pool establishes transparency as an architectural and cultural value. Its interior exhibits vividly document the abuses of the Pinochet years and the slow return to democracy. On the ground level, the museum starts innocuously enough in displaying the written accounts of human rights violations, such as the Rettig Report, that began to appear in the aftermath of the regime. The powerful visual material begins with huge wall photos of the bloody coup against President Salvador Allende, along with live footage of the events on multiple screens (the English subtitles are sometimes misleading) and samples of the front pages of Santiago dailies (whose incendiary coverage was truly disgraceful). 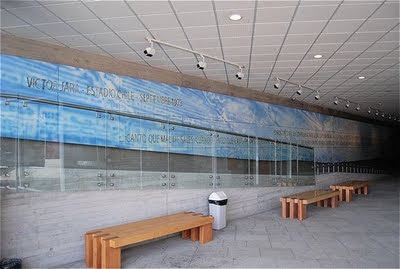 In addition, the material here includes a site-by-site catalogue of detainment camps and torture centers with video links, while the second floor covers demands for accountability of the missing, with a computer database of individual cases. A separate exhibit deals with the influence of popular culture, stressing the contributions of folk music peñas and the works of arpilleras (quilters) as indicators of resistance. The third floor is open for special exhibits, such as late 2010’s account of Spanish refugees in Chile after Francisco Franco’s forces defeated the Republicans in that country’s civil war. The Museo de la Memoria is open 10 a.m. to 6 p.m. daily except Mon. Admission is free, but donations are welcome. 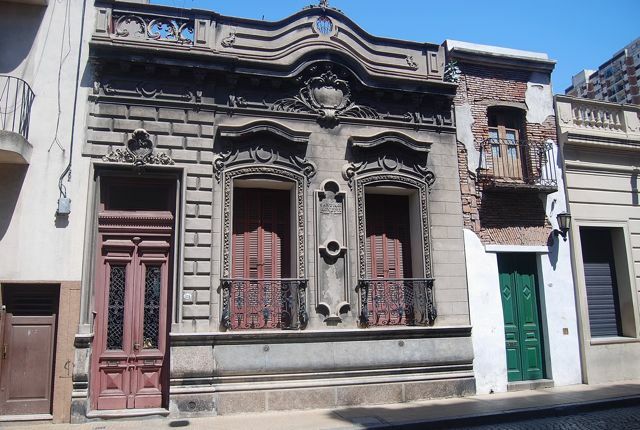 It has its own access to the Metro Quinta Normal station (Línea 5). 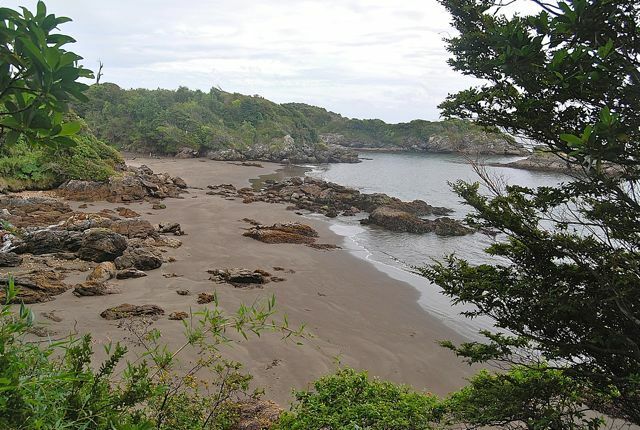 Some months ago, on the outskirts of Buenos Aires, forensic scientists identified the remains of María Eugenia Sanllorenti, my brother-in-law’s first wife, who “disappeared” from the university city of La Plata at the hands of still unknown individuals in 1976, during Argentina’s “Dirty War.” I never knew “Maru,” who died before I married into the family, but anyone who reads Spanish well can learn about her from the court testimony of her mother, Eva Fanjul de Sanllorenti, in the year 2000. Eva will soon be giving her daughter a formal burial. 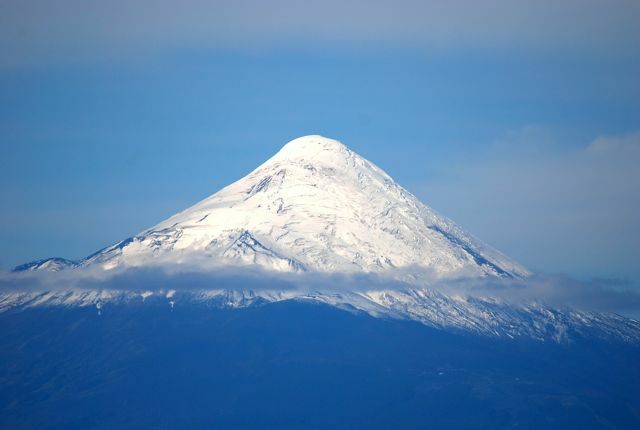 Today’s topics include the lingering effects of Volcán Puyehue, the weather, Argentine soccer, and Argentine ants, some of which overlap. Buenos Aires almost never gets cold and snowy but, yesterday at least, it was cold and ashy - once again, the fallout from Chile’s Volcán Puyehue postponed all flights from the international airport at Ezeiza and the city airport Aeroparque. Flights resumed early this morning, but the cold wave continues. 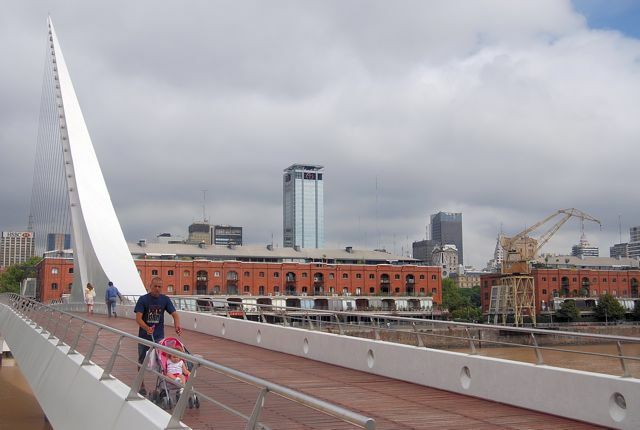 According to the Buenos Aires daily Clarín, nighttime temperatures will fall below freezing, and low readings will continues throughout the week. Meanwhile, from the Chilean city of Puerto Varas, Franz Schirmer informs me that, while the highway to Argentina remains closed, the scenic and slightly more southerly bus-boat-bus Cruce Andino (pictured above, at Petrohué) to San Carlos de Bariloche remains open, with discount prices. 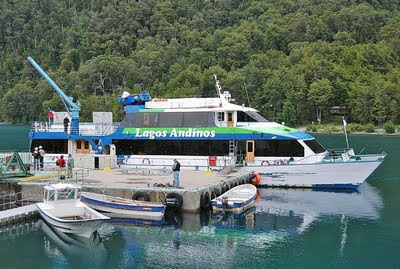 The problem is that, with Bariloche’s airport closed because of Puyehue’s ashfall, there’s no easy way to get out of Bariloche. 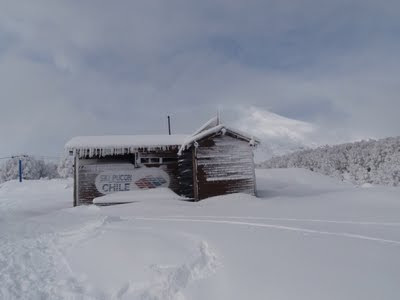 The ash has played havoc with Bariloche’s ski season, a topic on which I’ll have more next week, but the ski area at Volcán Osorno (pictured below), overlooking Franz’s Petrohué Lodge, is open for business. Osorno, fortunately, has not erupted since 1869. No, the Río de la Plata hasn’t gotten any shorter - at roughly 4,900 km it’s still the world’s eighth-longest river and, on the South American continent, second only to the Amazon. It’s almost equally shocking, though, that the Club Atlético River Plate, one of Argentina’s iconic soccer teams, suffered such a terrible season that it’s flowed downstream to Division B of the Asociación de Fútbol Argentina - roughly comparable to demoting the New York Yankees to the Class AAA International League. Argentine soccer, of course, is plagued with violence, and River fans were not happy, with many incidents leading up to and after the demotion (occasioned by their tying a playoff game with Belgrano of Córdoba, which earned promotion). According to The Guardian, many deplorable incidents occurred in the course of River’s descent, including intimidation of a referee and firebombing of the house of one of River’s directors (damage was minimal, and nobody was hurt). Only yesterday, after a telephone warning, police evacuated the AFA’s downtown headquarters as they removed a bomb from an adjacent downtown bar. About a year ago, I wrote about the historic invasion of Argentine ants, which spread across the United States by rail from the port of New Orleans, and now form colossal colonies that stretch the length of California. I can see them in my Oakland backyard any day but, fortunately, they’ve stayed out of the house recently. In most parts of the state, Argentine ants have overwhelmed native ants, but Stanford biology professor Deborah Gordon and a group of her undergrads have learned that at least one species is fighting back: the California winter ant, so called because it stays active in cold weather, confronts individual invaders with a poison that literally stops them dead - in lab tests, a single drop had a 79 percent kill rate. 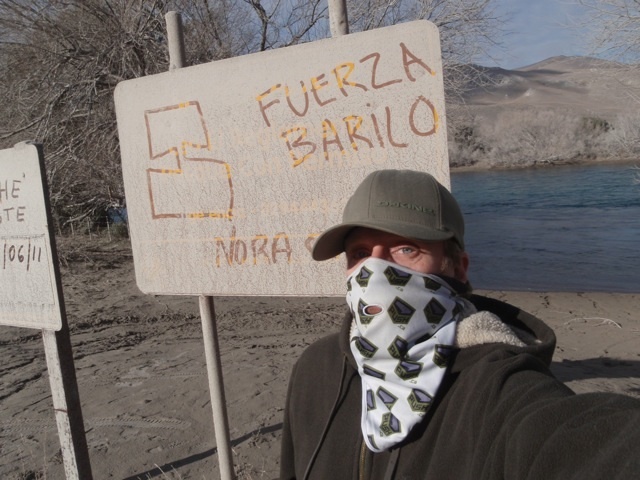 Unfortunately, according to Gordon, the Argentine ants benefit from disturbed (i.e. urban) environments with sheltered winter quarters, and still outnumber the natives by far.